​Do you study as commanded? 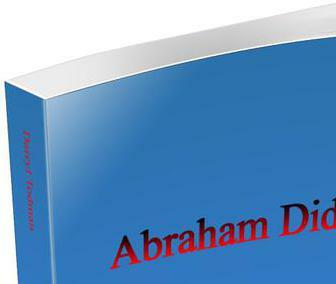 Do you believe Abraham gave a tithe as taught? The command says to study by rightly dividing the word. What if you are shown Abraham did not tithe, whom would you believe, Man or the Word? The words tithe and tenth as they are used in the scriptures Gen 14:20 and Heb 7:2, 4 show you Abraham did not gave 100% of what he had, nor did he gave 50% of what he had, but only 10%. This 10% is called a tenth or a tithe. The scriptures clearly state he gave a tenth of all. When the two additional words, “of all or of everything” are used, it clearly shows they are not a tithe of God. A tithe of God, another meaning of the word tithe, is what they wish you to think Abraham give and hope to keep you confused so you too may do the same. You see, they are not rightly dividing the word “tithe”. Gen 14:20; Heb 7:2, 4; 2 Tim 2:15(KJV). Tithe/tenth “of all” and tithe of God were both tithe systems. Each of the systems were systems of provisions and both benefited those who received, but only the system established of God benefited both those who received and those who gave along with the widows, fatherless, and poor. The tithe of all could have left the giver with nothing, or zero, causing one to come to a point of lack. The tithe of God was established with specific intent to prevent that. It was never in God’s plan for His people to come to zero or to lack from a result of His request unless due to ones disobedience. Dt 11:17, 14:29, 15:11. This book is not too much on tithe as it is about whether Abraham gave a tithe or not. You shall see for yourself, Abraham did not tithe. Do you think the Preachers, Pastors and Teachers in the church you attend would lie to you? By that I mean to intentionally teach you something they actually know to be incorrect. Well! Someone once told me, “your Local Government lies to you, your Federal Government lies to you, big companies and businesses lie to you, why wouldn’t the church?”  After all, they are all after the same thing, more money. In what way has your Preachers, Pastors and Teachers lied to you? They have lied to you in teaching about tithes and offerings. They tell you to pay one tenth of your income or any increase you may have received. They tell you Abraham gave a tithe and convince you it was related to the tithe God commanded the Israelites to give. Well! Have you really ever heard them teach about tithes and offering? Have they ever given you a scripture that shows you are to tithe? They take you to the scriptures of the Old Testament, the old generation. Do they show you the rules and instructions that go along with tithing for this generation, those who follow Christ? I know they take you to the guilt scripture, Mal 3:8, “---will a man rob God?---” But have you ever seen anywhere in the entire bible where it says tithe is a tenth of your income or money? God said His tithe is holy, do you know money is not holy? Dt 14:22, 23, 28; Lev 27:30. They know you do not study, so they have no one to challenge their teaching. They even have the courage to say God wants you to tithe. Where do they get that from? Did God forget to command you to tithe like He commanded the Israelites? Did Jesus forget to teach you about tithing when He was on earth? Holy Spirit inspired Paul to teach about setting up a church and about giving, but why not about tithing? They do not give you scriptures and verses to go to when they teach on tithing that says bring your money to the storehouse, so it appears they make up their own statutes and commands. 2Tim 2:15 (KJV); 1 Cor 9,16; 2 Cor 4:1-4;8,9.